RICH ENUFF (AUS) (Chestnut 2011-Stud 2016). 3 wins at 1200m, 1400m, A$574,450, VRC Danehill S., Gr.2, MRC Caulfield Guineas Prelude, Gr.3, MVRC Mitchell McKenzie S., L, 2d MRC Caulfield Guineas, Gr.1, Heath S., Gr.3, 3d ATC Southern Cross S., Gr.3, MVRC Friends of Epworth 2YO H. Half-brother to SP Lightenuff (2d Sale Cup, L). Grandson of a half-sister to SW Cafeteria. Related to SW Elkalyn, SW Jam City, etc. His oldest progeny are yearlings. Lim's Craft (g. by Smart Missile). Placed at 3 in 2019 in Singapore. Super Snob. 3 wins at 1400m, A$86,645, in 2017-18 in Aust. Happy Surveys. 4 wins at 1200m, HK$4,258,475, HKJC Le French May Trophy, New Lantao Bus H., Shau Kei Wan H., Lyrebird H., 2d HKJC Chan Trophy H., Tailorbird H., Yeung Uk H., Broom H., Entrapment H., 3d HKJC Cha Kwo Ling H., Grass Island H., Wayfoong Centenary Bowl H.
Loyalist. 3 wins at 1350m, 1400m, A$87,025, SCTC RCQ Construction H., 2d ATC Australian Turf Club 2YO H.
Boom Shucka. Winner at 2, BRC Novotel Brisbane Airport 2YO H.
Aneto. 3 wins at 1200m, 1300m, MRC Le Pine Funerals H., 2d ATC Canterbury Park H., 3d Bendigo JC Catanach's Jeweller's Gold Bracelet, MRC Sportingbet H.
Wildenstein. 2 wins-1 at 2-at 1200m, 1900m, ATC Bowermans Office Furniture H., 3d ATC TAB Place Multi H., TAB Rewards H.
Yulong September. 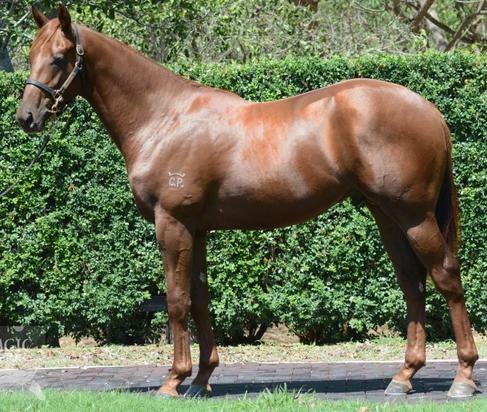 Winner at 1400m in 2018-19, MRC Blue Star Print P., 3d SAJC AAMI H.
Cape Wickham. 5 wins-1 at 2-to 1400m, A$88,667, to 2018-19, 3d ATC Australian Turf Club H.
Anabella. 3 wins at 1200m, 1300m to 2017-18, 3d SAJC Schweppes P.
Cai Poh Wang. Winner at 1600m, 2d Singapore TC Super One S., Troy See Han Poh S., 3d Singapore TC Inglis Ready2Race S., Kranji S.
TIESTO (Tough Speed). Winner at 2, A$132,507, in 2017-18, TTC Gold Sovereign S., L, 2d TTC Magic Millions 2YO Classic, Meander Valley Council 2YO P., 3d TTC Launceston Guineas, L, TRC WL Shields 2YO Autumn Sprint. ALLEZ FRANCE (Hennessy). 2 wins. See above. LONGCHAMP (Tavistock). 7 wins-1 at 2-to 1400m, NZ$210,495, Taranaki RC Opunake Cup, L-twice, Levin RC Courtesy Ford 2YO H., Otaki Maori RC Voyle & Co's Visionary H., Wanganui JC Steelformers H., Dave Hoskin Carriers H., 2d Marton JC Norwood Farm Machinery H., Wairarapa RC Johnson Brothers H., ARC Rotary H., 3d Hawke's Bay Guineas, Gr.2, WRC Jennian Homes H., 4th Hawkes Bay Makfi Challenge S., Gr.1. Tulsa - Keen Venture (H.K.) (Sebring). 2 wins at 1100m, 1600m, A$82,600, HK$3,643,650, HKJC Lotus H., 2d MRC Caulfield Guineas Prelude, Gr.3, HKJC South Wall H., Hakka Cup, Violet H., Lantau Peak H., 3d VRC CS Hayes S., Gr.3. Best Effort. Winner. See above.